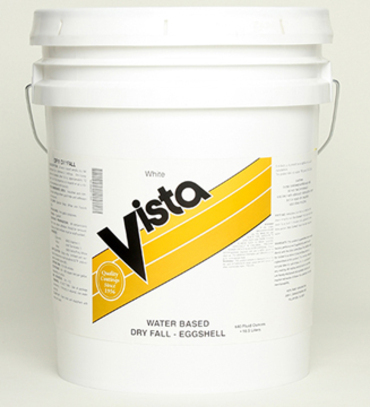 DF11 is a specialty water-based acrylic eggshell dry fall designed for commercial ceilings. Over-spray dries to powder after falling approximately 12 feet. Dry Fall properties will depend on an ambient temperature and humidity. FOR PROFESSIONAL OR CONTRACTOR USE ONLY.